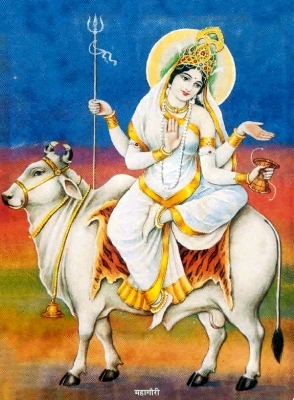 Parvati is the Deity of the Moon. Although not a planet — actually a satellite of the Earth — the Moon is counted as one of the nine planets, the navagrahas. Moon is presiding deity of the Mind; Parvati is the deity of the Moon, and as we discover in the teachings of Sathya Sai Baba, is also the Deity for wisdom. Wisdom, Sophia, is a form of Mind-Management. On a mundane level of worldly needs and myths, Goddess Lakshmi is regarded as the goddess of light, beauty, good fortune, wealth and prosperity, both material and spiritual. 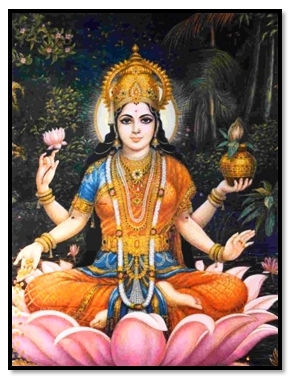 Lakshmi is taken from Sanskrit root Laksme which means “goal.” So you may understand that Lakshmi is the symbol of the purusharthas, the four goals of life.